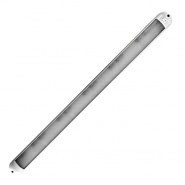 We have many options at Arc Components Ltd for internal bulkhead lighting from marine and ship lighting to HGV and Commercial vehicle internal lights, the range consists of: fluorescent lighting, bulkhead lights, vehicle roof lights and roof lamps including step lights and mood lights, recessed lighting and latest style LED cabin light options. Vehicle interior LED illuminated lights, powerful and bright LED roof and bulkhead down-lighter versions. Standard and classical interior roof lighting, jelly mould, recessed and compact versions for vehicle interiors. 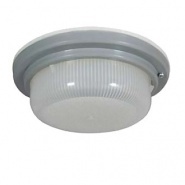 Traditional 'jelly mould' style commercial roof lamp, plastic lens on a plastic base, supplied without SCC bulb. 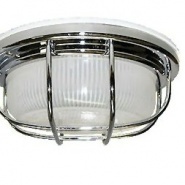 Durite 12V or 24V DC deckhead mounted interior roof lamp. 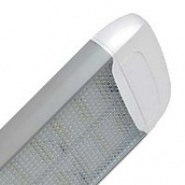 12/24V LED roof lamp with 94 white LED's. 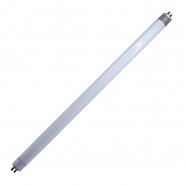 Durite replacement or spare fluorescent tubes, 8 Watt fluorescent tube, pack quantity: 5 pieces.